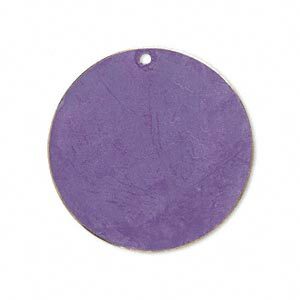 Focal, brass, bright purple patina, Pantone® color 18-3520, 30mm double-sided flat round. Sold per pkg of 6. 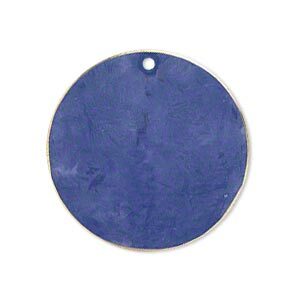 Item Number: H20-3285FX Have a question about this item? Economical brass focal components with patina embellishment have a colored surface that reproduces the weathered look of naturally occurring patina. 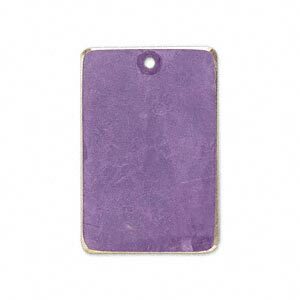 Bright purple brass patina focals are great alone as pendants or in groups for fun, stylish designs. Lightweight rounds have double-sided, professionally matched PANTONE color. 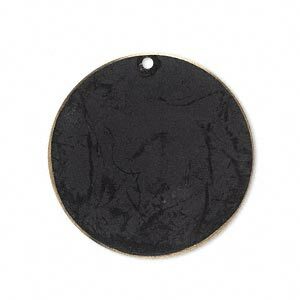 Brass patina focal surfaces are ideal for applying Magic-Glos®, Liquid Glass, Omni-Gel and polymer clay. 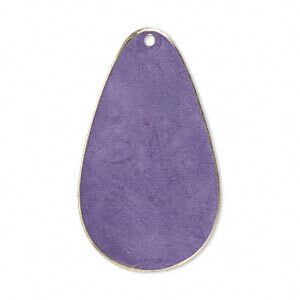 Focal, brass, bright purple patina, Pantone® color 18-3520, 34x20mm double-sided teardrop. Sold per pkg of 6. 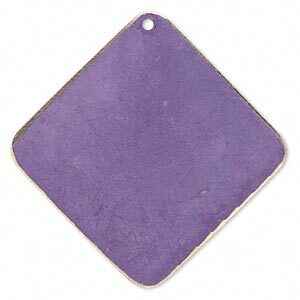 Focal, brass, bright purple patina, Pantone® color 18-3520, 30x20mm double-sided rectangle. Sold per pkg of 6. 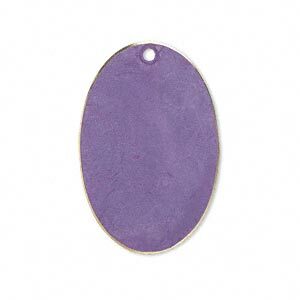 Focal, brass, bright purple patina, Pantone® color 18-3520, 30x20mm double-sided oval. Sold per pkg of 6. 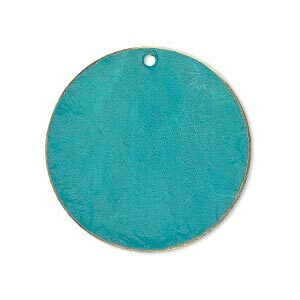 Focal, brass, bright teal patina, Pantone® color 17-4818, 30mm double-sided flat round. Sold per pkg of 6. Focal, brass, earth tone brown patina, Pantone® color 19-1321, 30mm double-sided flat round. Sold per pkg of 6. 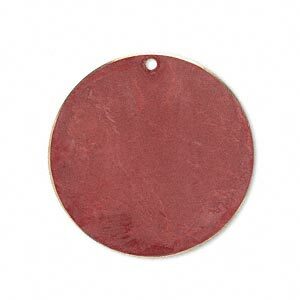 Focal, brass, jewel tone red patina, Pantone® color 19-1543, 30mm double-sided flat round. Sold per pkg of 6.